I’m hooked! 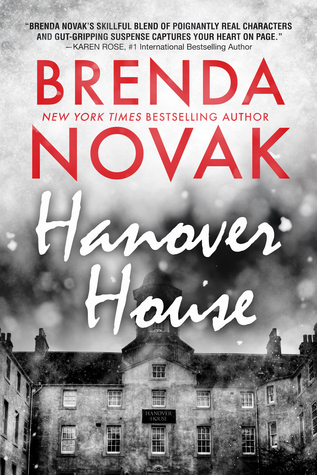 This prequel to the new series by Brenda Novak takes us into the world of Psychiatrist Evelyn Talbot to learn why she has been fighting so hard to make her dream of Hanover House a reality. I can’t wait to delve further into the series and see what comes of Evelyn & Amarok! Evelyn Talbot was kidnapped, tortured and left for dead by her high school boyfriend when she was just a teenager. She has spent her lifetime studying the mind of a psychopath to learn what makes them tick. To study why they feel no empathy. To study whether there could ever be a warning sign. She is thrilled to have finally gotten the government funding she needs to build Hanover House in Hilltop, Alaska where she will have a large number of the world’s worst psychopaths moved into this high security medical health center. People in Hilltop are not thrilled that this new facility will be moving in … especially Alaskan State Trooper, Sergeant Amarok. He’s worried about having such dangerous people in his town, but he can’t help but like Evelyn and feel sorry for what she’s been through at the same time!